Hele-Riin Uib was born in Estonia. Since early childhood the little girl was surrounded by drums; through her step-father she had a close contact with playing as well as making percussion instruments. It so happened that at the age of 13 Hele-Riin started an independent life, though this did not hamper her studies of percussions at the Tallinn Georg Ots Music School. In 2004, she graduated from the Estonian Academy of Music with BA and in 2007 with MA. In the course of 2004–2009 Hele-Riin studied percussions also at the Helsinki Metropolia University, though unlike at the Estonian Academy of Music she concentrated here on jazz (vibraphone) and ethnic (Africa, Cuba, Brazil) percussion instruments like congas, timbales, djembe, etc. Drop by drop she has collected knowledge from different master classes: Rein Roos, Arttu Takalo, Juha Tanninen, Tomas Jimeno Diaz, Tommi Rautiainen, Bruno Korpela, Wolf Kerschek, Linda Maxey, Michael Udow, Brian Melvin, and Stanislaw Skoczynski. In 2010, she studied the art of taiko in Japan under the supervision by Emiko Taba. In 2001–2004, she was a percussion player at the Estonian National Opera Symphony Orchestra. Also, Hele-Riin has been guest-artist with Estonian National Symphony Orchestra, Tallinn Sinfonietta, Tallinn Chamber Orchestra, Estonian Piano Orchestra and NYYD Ensemble. However, she enjoys most playing in duos where the small staff offers more improvisation and creative approach to music like in the duo with the Japanese taiko-player Ichitaro, duo Double Stroke with Madis Metsamart (principal percussionist of Estonian National Symphony Orchestra) and with Aleksandra Kremenetski, to name just a few. 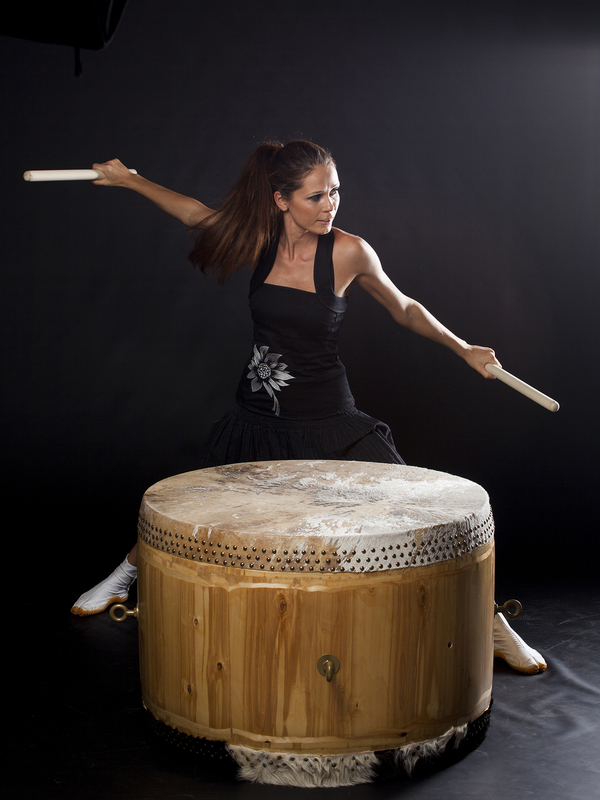 From 2010 Hele-Riin has given concerts with Japanese taiko drums. Very soon she found a percussionist Laura Välja and since then they have been performing as Muteki TAIKO Group. 2012 she founded a female show percussion group DRUMATTACK. DrumAttack is a show percussion group which is known for its unique drumming approach mixed with dance and glamour. Energy, strength and beauty are the three main words to characterize this collective. Two small girls and a punch of drums is not an usual thing to see. The group has released in 2013 also single with Estonian famous singer Teele Viira “Rhythm`s The Key”. In 2014 Hele-Riin formed a girl rock band named G.O.S.H. So far they have released EP “Roller Coaster” and three music videos. G.O.S.H. is much more than a usual girl band or mainstream rock combo — G.O.S.H. are an exciting and catchy blend of the theatric radio pop of the 1970s in the vein of Bonnie Tyler, the groundbreaking adult contemporary wave of the 1980s reminiscent of Roxette, and the glamorous pop stylings of the early 2000s. Their music incorporates dance rhythms, dynamic rock-guitar riffs and radio-friendly melodic hooks. Since 2007 Hele-Riin has been teaching drums at Gustav Adolf Music School and is also a founder of Gustav Adolf Grammar School Drumline GAG ARMADA. Hele-Riin says that rhythm is the heart of music. It seems that this heart beats in a cruel rhythm and quick tempo because in her schedule there are hardly any days off. The afore-mentioned qualities have made her a highly sought-after musician and concert tours have taken her to many countries as well as made her a frequent guest in recording studios.